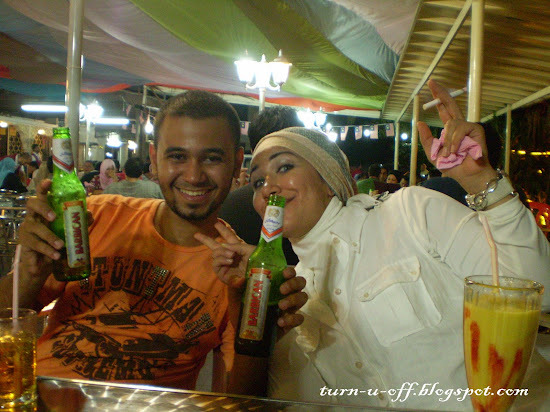 Last Friday, our friend, Abeer a.k.a Lili from Egypt invited us out, as she would like us to join her for sahur (the meal consumed early in the morning by Muslims before fasting). 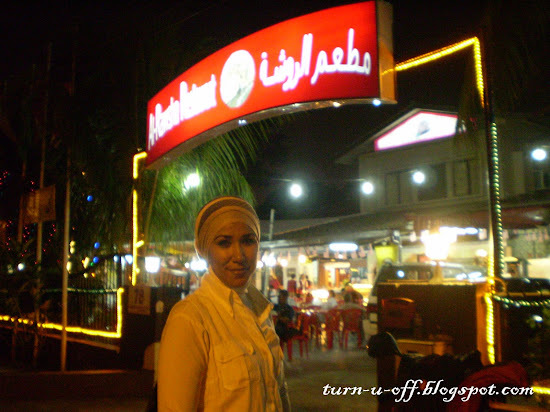 Her nephew, Asim suggested going to Jalan Damai, Off Jalan Ampang and he brought us there. 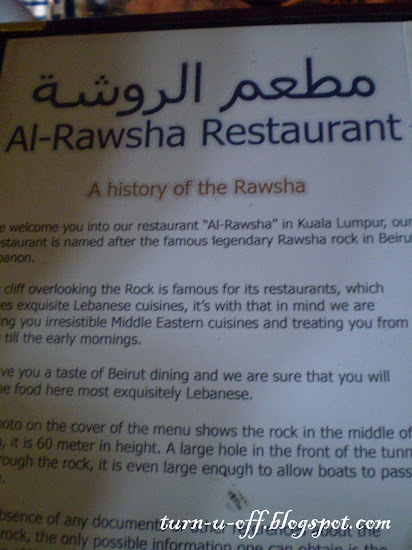 There's a restaurant serves a variety of popular Lebanese dishes called Al-Rawsha Restaurant. 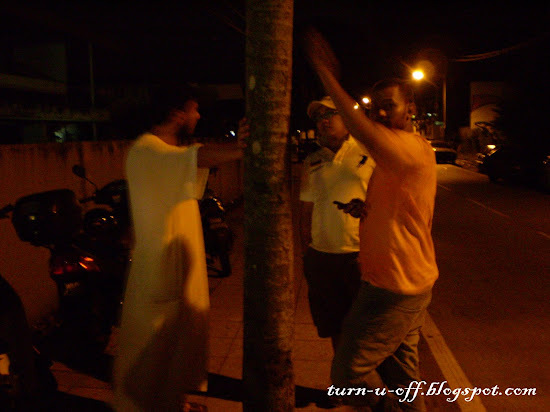 #2 The moment we reached there, Ralph bumped into one of his students. 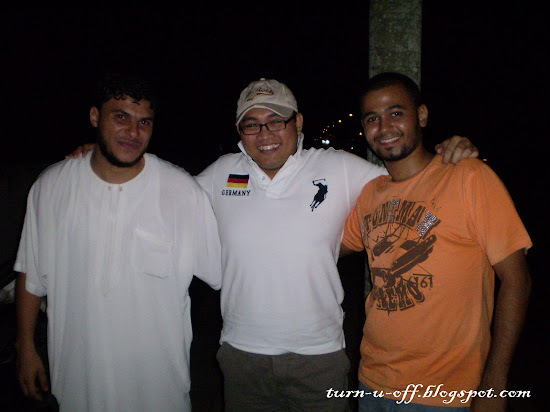 #3 Cash from Libya, Ralph and Asim. 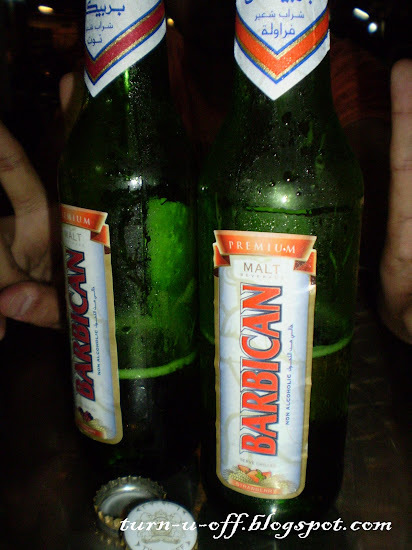 #8 Raspberry and strawberry Barbican (non-alcohol drink originated from Middle Eastern). I love it! 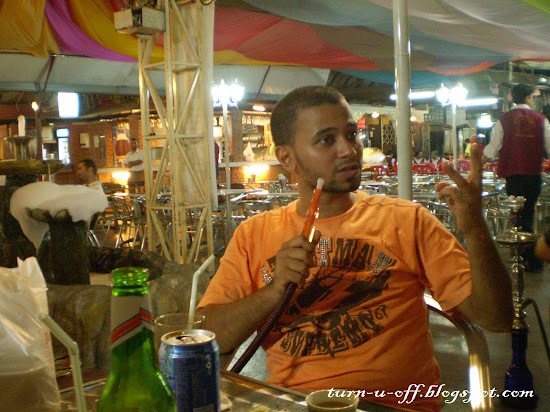 #10 We ordered two plates of lahm meshwi (cubes of grilled lamb kebabs) and shish tawouq (marinated grilled chicken on skewers). 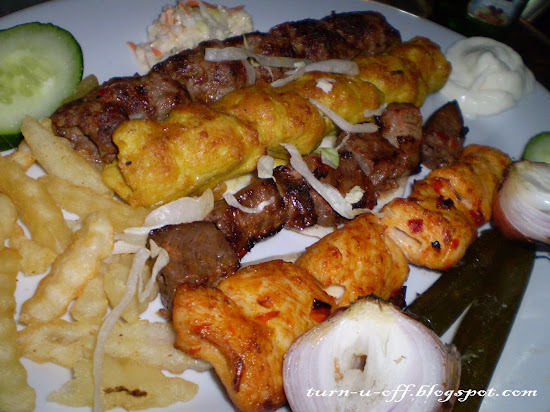 I love the grilled lamb kebabs, very tender and delicious!!! 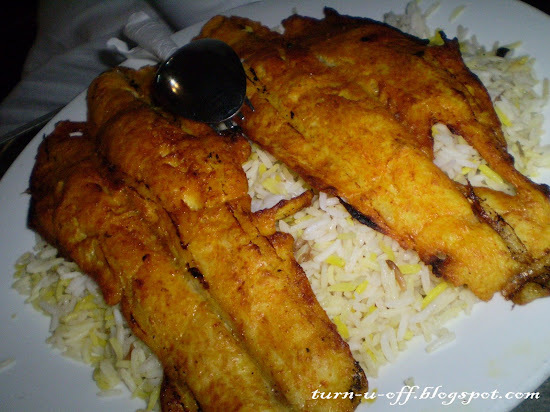 #13 Sayyadiya (delicately spiced fish served on a bed of rice). 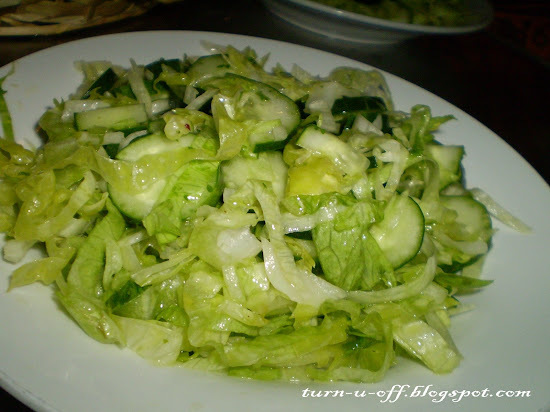 #16 The yoghurt cucumber salad was quite bland. 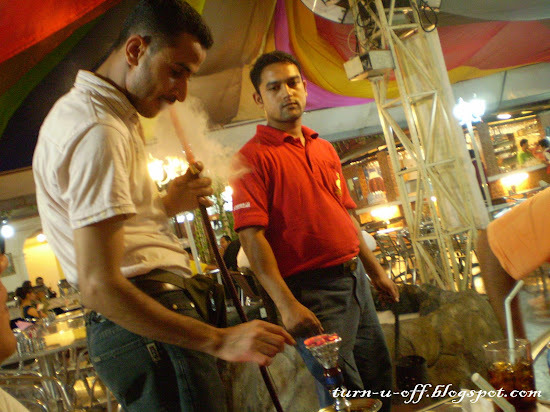 #19 They were preparing grape flavored shisha. 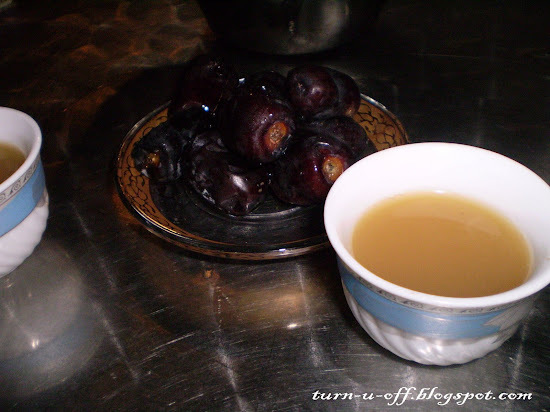 #23 Turkish/Arabic coffee, served with dates to counter the drink's bitter taste. *sip slowly* yikes! Oh NO! 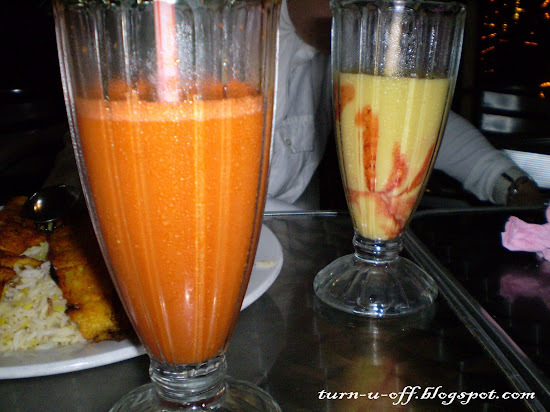 I don't like it and I don't like the strong taste of cardamom! To all my Muslim friends and readers, Happy Fasting! great, you got friend from Egypt. 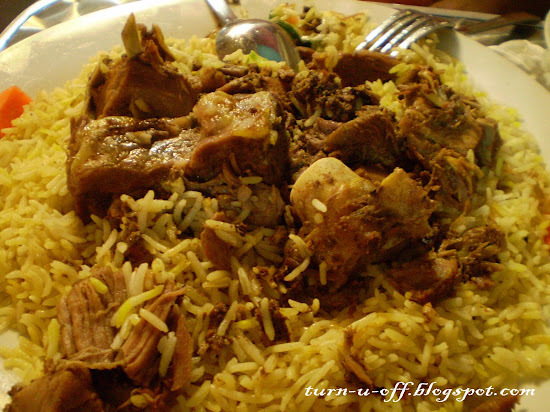 So how its feel to have sahur? Hi Monica, wow! 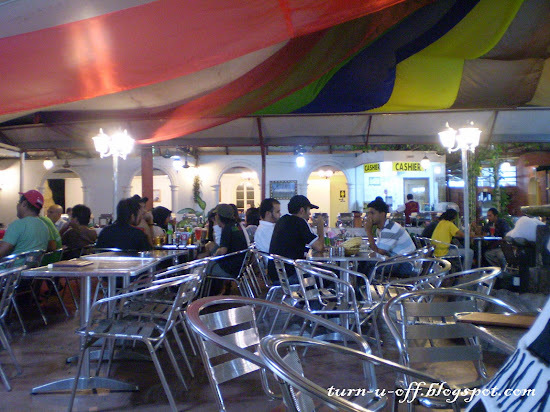 Love that place and the food? Absolutely fabulous! 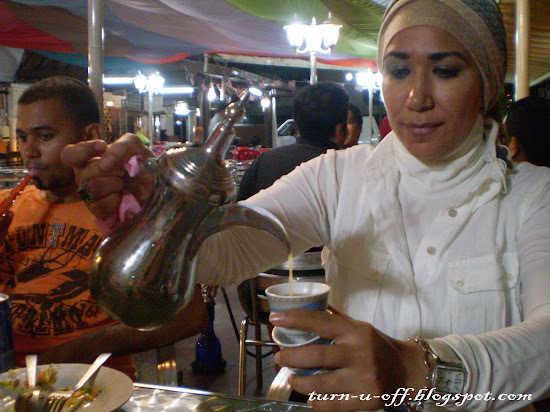 Must go there on our next trip balek kampong, ha ha. 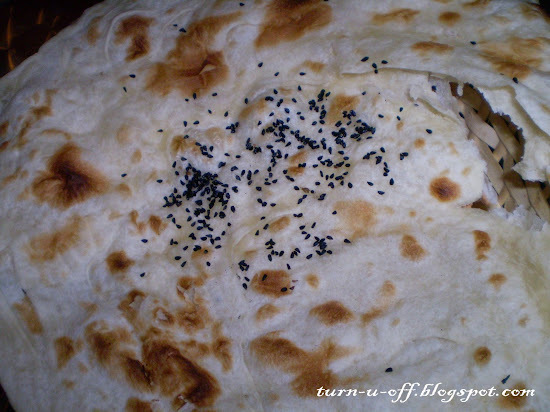 The food looks good! 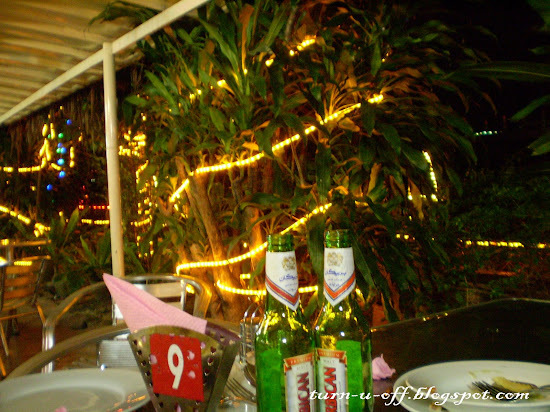 Have you been to Tarbush in Starhill? 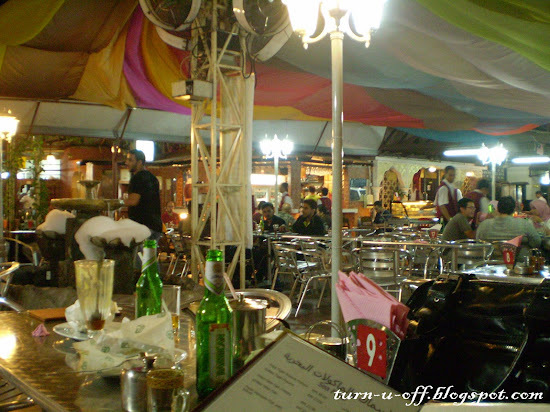 It's quite a nice place with good Lebanese food. oh they always hang out at Tarbush. I've never been there yet but I'd love to check it out one day! The food was not bad indeed ;-) and my friends, they are very funny! hahaha..
oh yes, what a coincidence my dear!! 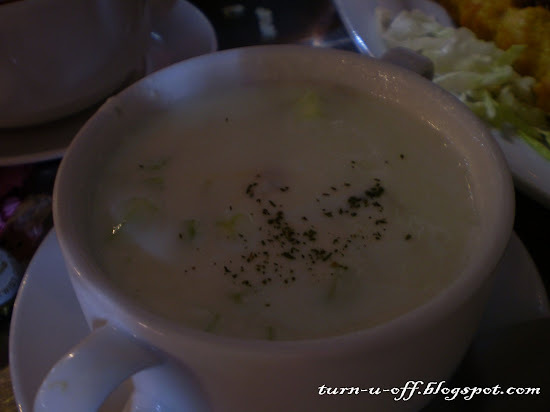 woww.. the portions are pretty big ya.. looks good... btw, i've missed your blog! im back noww!! hehehe..
Hey dear, you're back! Yay!! looks like you guys had a lot of fun. 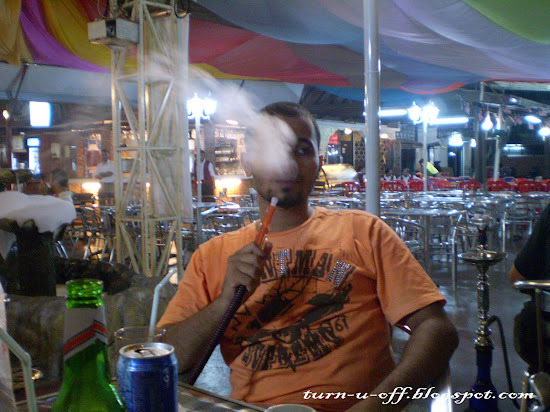 i still havent been to a shisha bar & there's one right near me.